This English rock band formed in 1962, although originally called "The Detours", then "The High Numbers", and finally "The Who". This group`s original lineup was: Roger Daltrey (vocals), Pete Townshend (guitar and principal composer), John Entwistle (bass), and Keith Moon (drummer). The band is considered one of the most influential in the history of rock `n` roll, and has been described as "one of the most innovative and powerful bands in history". 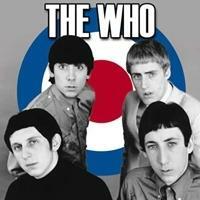 The band were pioneers in the concept of rock opera and are considered the precursors to genres like punk and Britpop. Vote and help decide which of their albums are the best ever.